Compare The Maids® 22-Step Healthy Touch® Deep Cleaning System to any other home cleaning company! Our cleaning system was created to ensure a healthy cleaning process and provide you and your family with a healthy living environment. The system combines environmentally friendly cleaning supplies with a high attention to detail. 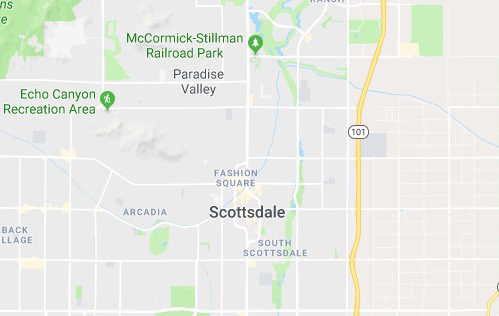 After you've had a chance to compare The Maids of Scottsdale with local competitors, we're confident you'll choose The Maids® for your home cleaning needs! Call today to arrange for a free estimate and start enjoying a cleaner and healthier home. The Maids® of Scottsdale is locally owned and employs staff from Scottsdale and the surrounding community. We are proud to be a contributor to the local economy. Team members are background-screened and then trained in The Maids® highly efficient 22-step cleaning system – irrelevant of prior experience. The Maids® of Scottsdale uses a team of specialists (3-4 people) to efficiently clean your home. Each team member is allocated specific tasks and performs duties with time saving motions and processes developed over 30 years. The Maids® of Scottsdale cares about the health of our customers and our employees. Our teams use a state-of-the-art backpack vacuum with HEPA filtration and environmentally preferable cleaning products. Give us a call today to receive your no-obligation quote.